Taryn Eickmeier is the Program Manager for Policy and Strategic Initiatives with Durham Region’s Children’s Services Division. 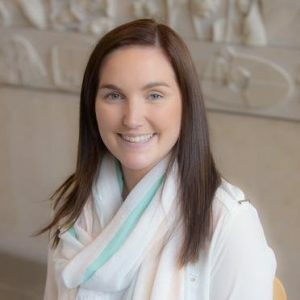 Taryn obtained her PhD in Public Health and Health Systems from the University of Waterloo and is passionate about creating stimulating environments for our children to live, play and grow. Taryn has been an active member of the Ajax-Pickering Early Childhood Development Coalition since 2017 as both a data analyst, a new mom and a resident of Ajax. In her professional role, Taryn is responsible for overseeing the collection of Early Development Instrument (EID) data in Durham Region and is always looking for new, creative ways to collaborate with community partners to use EDI findings to inform policy and practice.